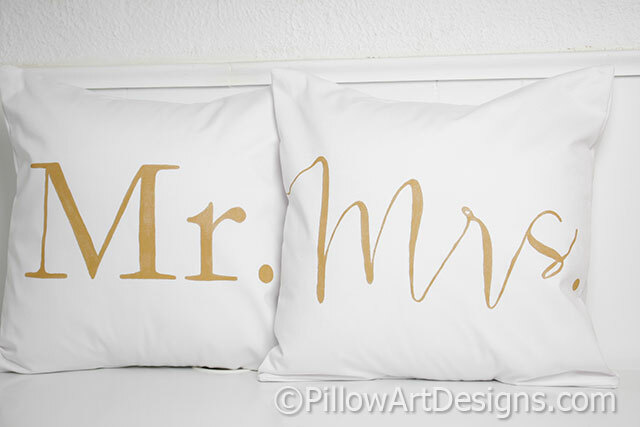 White cotton pillow covers with Mr painted in block font, Mrs painted in calligraphy font. Covers made to fit 16 X 16 inch (not included). Outer fabric is white cotton twill, covers are fully lined with white cotton polyester. 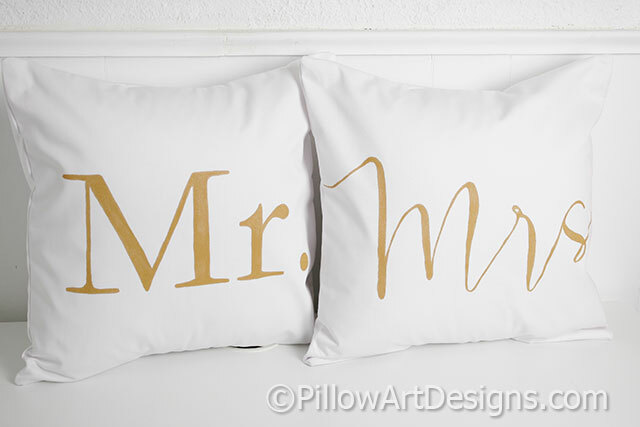 These are made to order, choose your paint colour at checkout. Contact me here with questions or any special requests.